Oxford University Press, USA, 9780195374612, 314pp. 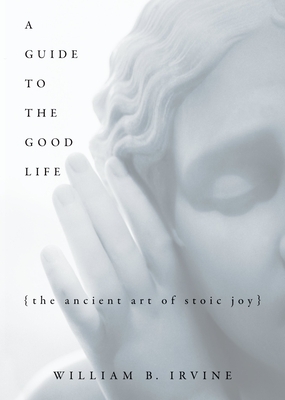 In A Guide to the Good Life, Irvine offers a refreshing presentation of Stoicism, showing how this ancient philosophy can still direct us toward a better life. Using the psychological insights and the practical techniques of the Stoics, Irvine offers a roadmap for anyone seeking to avoid the feelings of chronic dissatisfaction that plague so many of us. Irvine looks at various Stoic techniques for attaining tranquility and shows how to put these techniques to work in our own life. As he does so, he describes his own experiences practicing Stoicism and offers valuable first-hand advice for anyone wishing to live better by following in the footsteps of these ancient philosophers. Readers learn how to minimize worry, how to let go of the past and focus our efforts on the things we can control, and how to deal with insults, grief, old age, and the distracting temptations of fame and fortune. We learn from Marcus Aurelius the importance of prizing only things of true value, and from Epictetus we learn how to be more content with what we have. William B. Irvine is Professor of Philosophy at Wright State University in Dayton, Ohio. He is the author of On Desire: Why We Want What We Want.